Next week’s New Year will bring the perpetual resolutions to lose weight, quit smoking, save money and exercise more, among others. 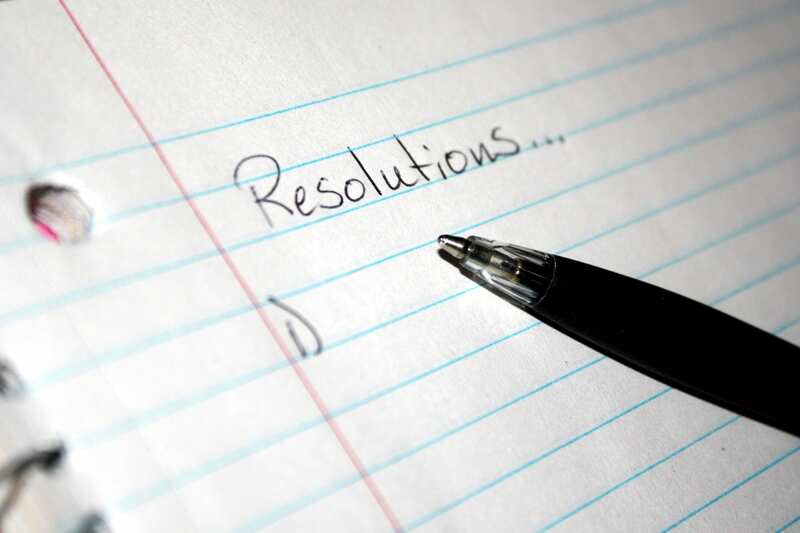 New Year’s resolutions are popular – but few people actually succeed at keeping them. In a series of studies, researchers from the University of Scranton followed 200 people who made New Year’s resolutions over a two-year period. Seventy-seven percent were able to keep their resolutions for one week. At a month, 64 percent reported success. That fell to 50 percent after three months and 46 percent after six months. Only 19 percent deemed themselves successful in reaching their goal when researchers followed up two years later. You may think people who don’t follow through with their New Year’s resolutions simply lack willpower. But new research is demonstrating that’s likely not the case. A systematic review published in 2015 in the Journal of Personality and Social Psychology demonstrates it may not be willpower at all that helps people achieve their goals. In the review, researchers from the University of Pittsburgh hypothesized that creating positive habits are the real key to achieving long-term goals – even more-so than a determined mindset. The authors identified six studies with more than 2,200 participants in total that asked whether people with “beneficial habits” were more likely to exhibit self-control and ultimately achieve their goals. The studies cover a wide range of goals – exercise, healthy eating, meditation, doing homework – and age ranges from adolescence to adulthood. The authors found that all six studies demonstrated the importance of creating routines and habits to make progress toward goals. In one study, college students rated their own self-control on a survey and then filled out a separate survey about their study habits. Students who rated themselves as having better self-control were more likely to have a consistent study environment. They studied at the same times and places and with the same amount of distractions every time. A similar study asked adults to rate their own self-control, then provide information about their sleep patterns, and exercise and snacking habits. Participants who rated their self-control as high were consistently more likely to wake up and go to bed at the same times each day. They were more likely to agree with the statement “Exercise is something I do automatically.” And they were less likely to feel tempted to break their routines. What does that mean for you? As you contemplate your goals for 2019, think of ways that you can create routines that support your resolutions. Make a plan to meet a friend at the gym a few mornings a week. Create a habit of making oatmeal for breakfast instead of stopping at the donut shop on the way to work. Ultimately, research shows your routines and habits will determine your success.